Lots of things you buy come with a warranty in case they break down, from cars to smartphones. But what about homes? It turns out you can get a home warranty, too. So what is a home warranty, anyway? In a nutshell, it's a policy you pay for that covers the cost of repairing many of your home appliances if they break down. Home warranties provide financial protection for homeowners who might be faced with unexpected problems with their appliances. Many people buy a home warranty right when they close on a home, since such protections can provide some much-needed peace of mind that you won't get hit with unexpected expenses soon after moving in. Imagine what a bummer it would be, after all, to wake up one morning to a broken boiler or leaking, malfunctioning fridge in your brand-new home. A home warranty can lessen those worries, which for many is worth every penny. 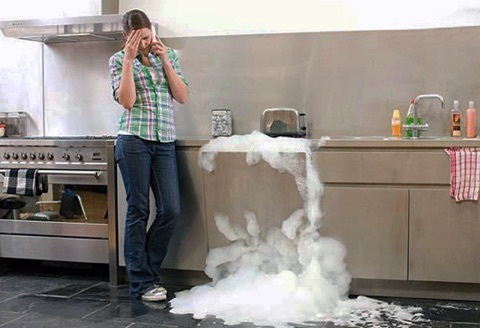 Don't mistake a home warranty for homeowners insurance, which covers your home's structure and belongings in the event of a fire, storm, flood, or other accident. A home warranty, in comparison, will cover repairs and replacements on systems and appliances due to normal wear and tear—no calamities required. A home warranty can also benefit home sellers (if they don't have it already), since it can cover these elements during the listing period; some companies even offer free seller’s coverage during this time with the hopes that the buyer will decide to continue the coverage. Oftentimes, home sellers will offer to pay for the first year of a buyer's home warranty to entice buyers to bite. But not everyone thinks home warranties are worth the cost. Typically they aren't necessary with new homes, since most of the appliances are already covered under manufacturers' warranties. But in general, the older your home, the greater the odds are that something's bound to break, and the wiser it is to get a home warranty. Best of all? Many companies don't differentiate between newer and older homes in terms of cost, making a warranty an especially cost-effective option if you are purchasing an older home. What to do if something breaks? If something covered under your home warranty breaks, you just call your provider and it will connect you with a qualified contractor in your area. One thing to remember is that a home warranty does not mean you're off scot-free; typically you'll have to pay for a service call or a certain amount of the bill up to your deductible first. While not everyone will think a home warranty is worth it, it is a good idea for people who lean toward the "better safe than sorry" approach when buying a home.